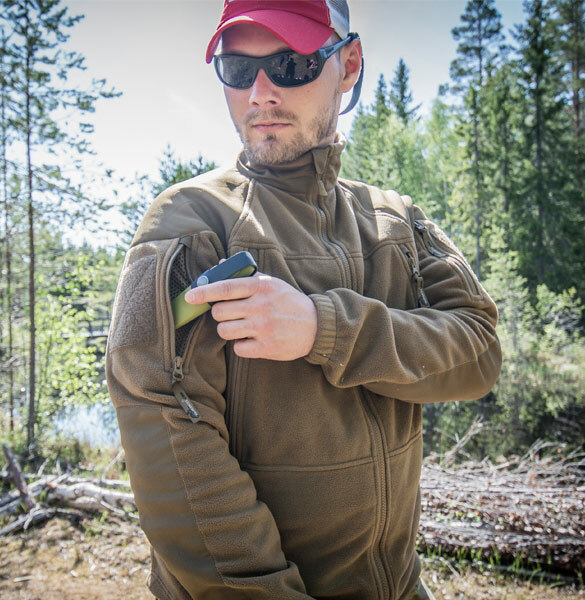 Believe it or not, the Polish company Helikon-Tex has been around for 35 years now – but far from sitting on their laurels the company has been steadily establishing itself in recent years as an innovative and forward-thinking provider of both tactical and outdoor clothing and gear. In fact, having a foot in both camps has enabled Helikon-Tex to establish a somewhat unique position in the space where the “tactical” and “outdoor” worlds overlap. Whether you call it “outdoor clothing for the tactical gentleman” or “tactical clothing for the outdoors enthusiast” one thing is clear, this is a growing market trend because not every outdoorsperson wants to pay through the nose for fashionista brands in garishly bright colors, and not every tactical operator wants to look like they bought their hiking gear from a surplus store… And then of course there’s the vibrant sector of security and close protection – where you need the features of tactical garments, but with a low-viz and non-tactical look. 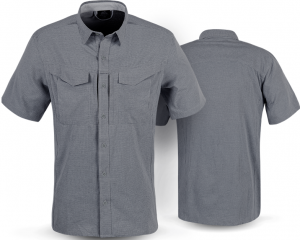 A 100% low profile, elegantly casual shirt that keeps all the tactical features while looking convenient and discreet. 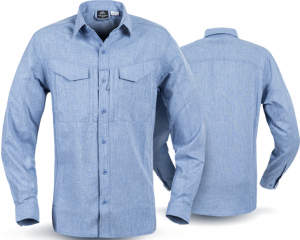 It’s made with a technically advanced polyester fabric that mimics thin cotton, dries quickly and keeps you cool. It will look great with casual pants or jeans, and can even be paired with a sports jacket. Long and short sleeve versions are available. Designed to endure hard environmental conditions, yet still be comfortable and pleasant to the touch (similar to flannel). The fabric is also treated with DuPont™Sorona® to reduce odors. Equipped with durable buttons and full-storage pockets on the chest, the Pilgrim shirt is the tough woodsman of the new shirt collection. The clue is in the name. Designed to keep things light and simple without sacrificing functionality when traveling or working in tropical climates. 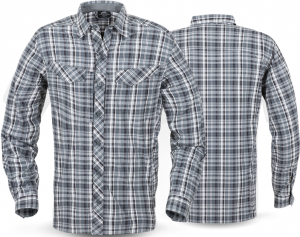 Lightweight and breathable, and with UPF30 sun protection, it also dries extremely quickly. The chest pockets provide functional carrying space, while the pointed collar keeps the shirt looking smart for all occasions. Low profile and comfortable, the City Shirt is a classic and functional shirt to wear on and off duty. The comfortable fabric is a mix of nylon and polyester – with Spandex added for an additional level of comfort and flexibility. Two layers of pockets on the chest provide access to essential items, and a mesh underarm ventilation system helps you keep your cool. 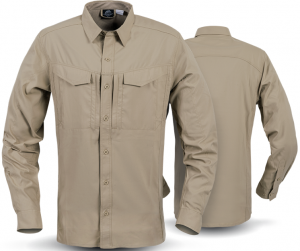 When things really heat up, the highly functional Ultralight shirt is what you need. Made with stretchy Aero-Tech® fabric featuring an open, ventilated, weave for outstanding breathability and comfort. It also features the usual two layers of chest pockets for carriage and access to essential items. Available only in a short sleeve version. We’ve saved the best for last. 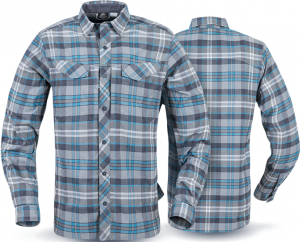 Although “tactical flannel shirts” have become quite a hot trend in the past couple of years, most of what’s been seen on the market are just copies of generic combat shirt styles made from plaid flannel fabric. 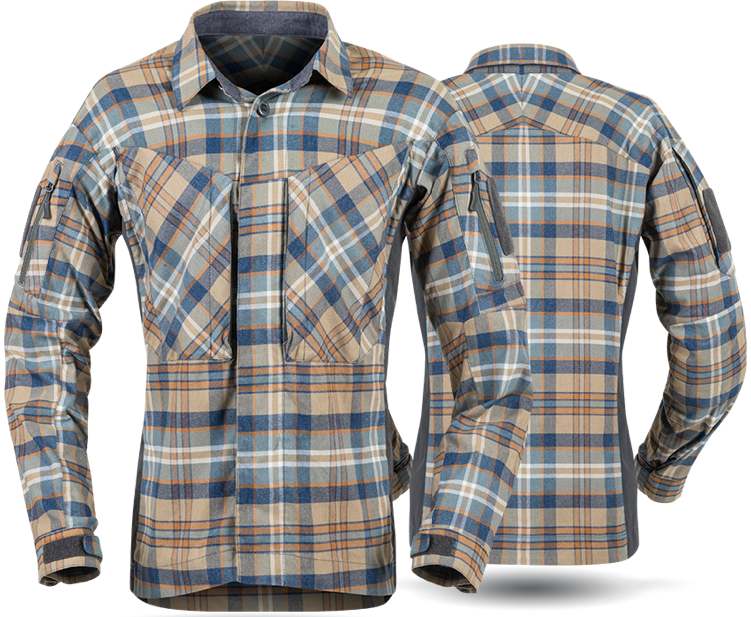 Helikon-Tex however have really changed things up with their take on “tactical flannel”. First of all they based the design off of their Modernized Battle Dress Uniform top – something so new that the regular tactical / combat version of the uniform hasn’t even been released yet. The second innovation is the unique combination of civilian appearance and tactical features providing functionality with style. The third innovation is the use of VersaStretch® side panels for outstanding freedom of movement in dynamic activities. The fourth innovation is the robustness of the design through the use of Canadian-style slotted buttons sewn on with strong nylon tape. The fifth innovation is the incorporation of streamlined storage pockets, and loop panels for IFF, blood type, allergy, call sign, and / or unit ID patches. And finally, the shirt incorporates full UPF50-level sun protection as well. 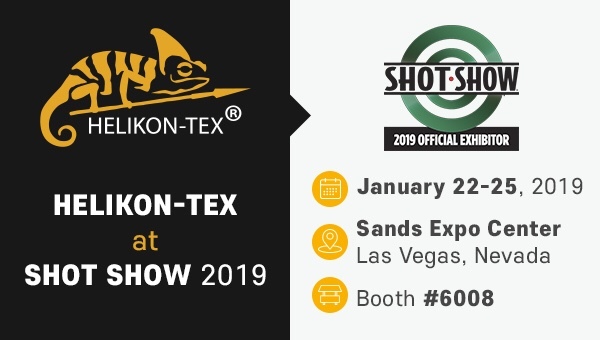 If you’re at the SHOT Show this coming week, be sure to stop by the Helikon-Tex booth and check out all the other great stuff they offer.